10% Discount for KVC members. Please enter code: KernValueCard10 on our website upon checkout. 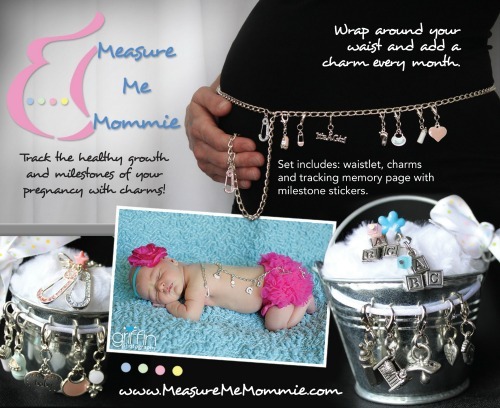 Measure Me Mommie is a unique jewelry keepsake that tracts the healthy growth and milestones during your pregnancy. The gift sets include a measuring waistlet, charms, and a tracking page all packaged in our signature diaper pail tins. It’s a great companion to maternity and newborn photography. Just wrap the waistlet around your belly once a month and add an additional charm! If you like to give unusual special gifts we have baby shower games, charm bracelets, necklaces, cute wine glasses along with our measuring systems.